The Paris Commune was an epic phenomenon in the early history of the socialist movement. The Commune was located in the workers quarters within the centre of Paris. An important location was the emporium LA NOUVELLE BABYLONE, still existing at Metro Babylone. The main character in the film is Louise, a salesgirl in the shop. She is a communard. Her counterpart is a soldier that helps to wipe out the Commune. Thus, the enormous social and dialectic complications and contrasts between the workers on one side, and bourgeoisie and army on the other side, are projected on two characters. And of course they fall in love. Louise is a fierce heroine. Jean a naïve soldier, a farmer who is ordered and abused. In the end they meet not in bed but on the barricades. Jean is a conscript in the army that defeats the Commune fighters in the bloody week in June 1871. Thousands of the Communards were killed in action or shot at Père Lachaise cemetery. 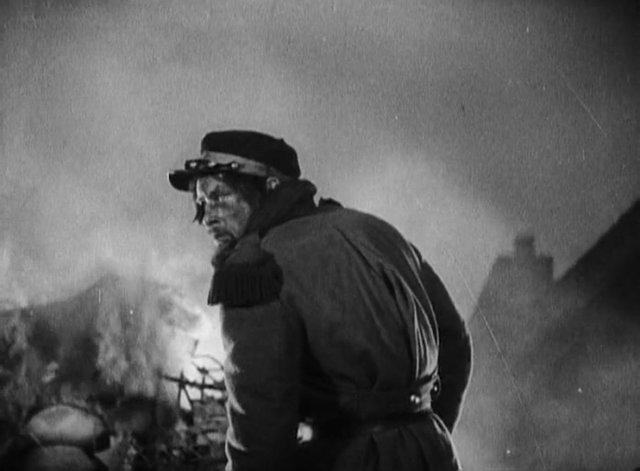 NEW BABYLON was based on Karl Marx’s report on the Commune, contemporary novels by Zola (La debacle, Nana, Au Bonheur des dames) and also inspired by Offenbach’s operettas and Chapentier’s opera Louise, by paintings by Millet, Delacroix, Goya, Daumier and Rembrandt. 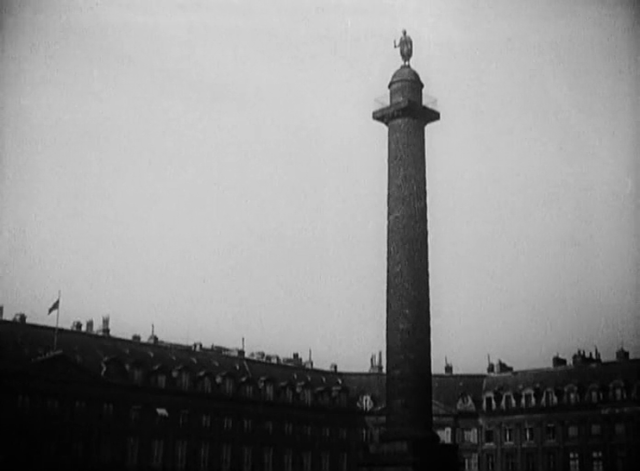 To catch the atmosphere directors Kozintsev & Trauberg went to Paris and met some of the old communards. 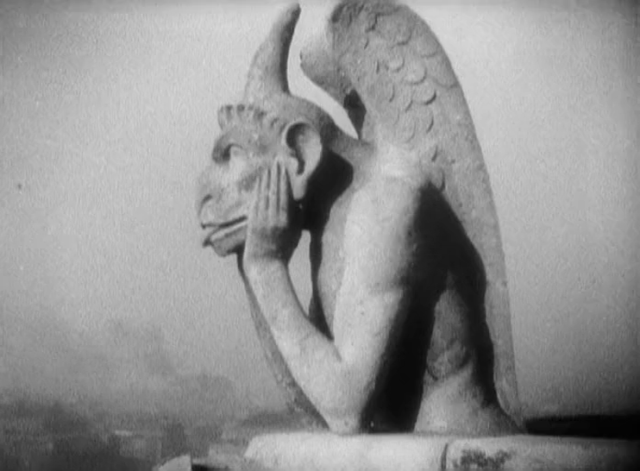 They also shot some footage, on top of a Notre Dame tower, but only a fragment ended up in the film, of which two versions were cut. 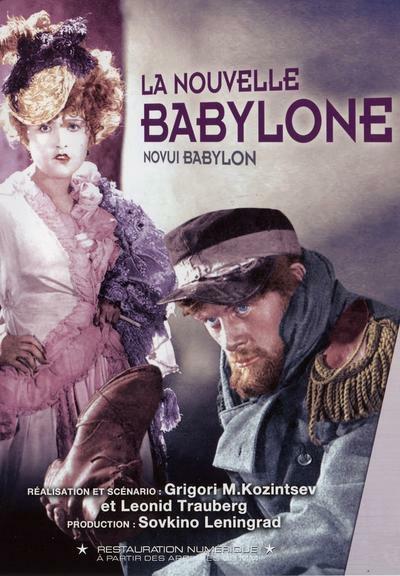 NEW BABYLON was Kozintsev & Trauberg’s last film. They wanted original music for it and engaged 22 year old cinema and theatre pianist and composer Dmitry Shostakovich. He may have written his best score for NEW BABYLON, although his music for ODNA, Kozintsev & Trauberg’s next film, was equally shattering. Shostakovich made a pasticcio of unknown quality, at the same time a parody on run-of-the-mill cinema music. He quoted Offenbach (Cancan, La belle Hélène), the Marseillaise (counterpoint to Cancan) and songs from the French Revolution. Shostakovich would compose scores for all the later Kozintsev & Trauberg’s films, and the later films directed by Kozintsev alone. 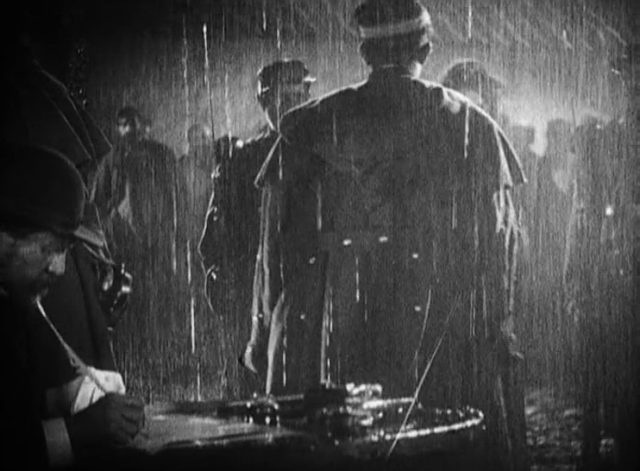 The partnership of Kozintsev, Trauberg and Shostakovich ended when Trauberg was attacked during Stalin’s post-war ‘anti-cosmopolitan’ campaign. 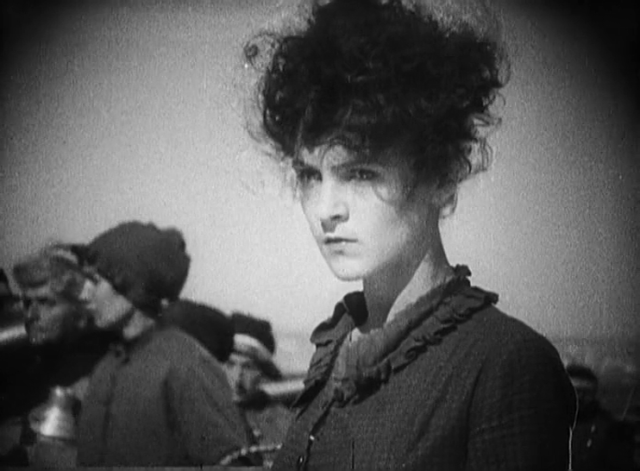 NEW BABYLON is one of the finest examples of early Soviet avant-garde cinema. If the theme was not revolutionary, at least the form should be. It was a perfect synthesis of avant-garde eccentricism and expressionism and Marxist theory. 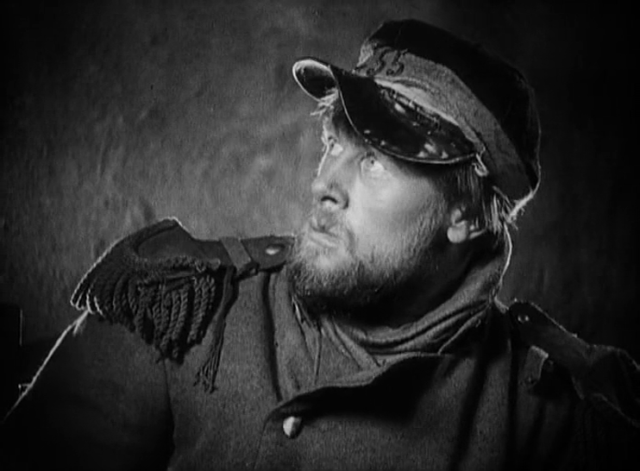 The film was both hailed and criticized, in the USSR itself and abroad. At the time Shostakovich’s music did not last long. Orchestras nor conductors could handle it. It was revived in the 1970’s and 80’s in France, England and Holland in particular. Abroad the film was prohibited (UK), censored and cut. 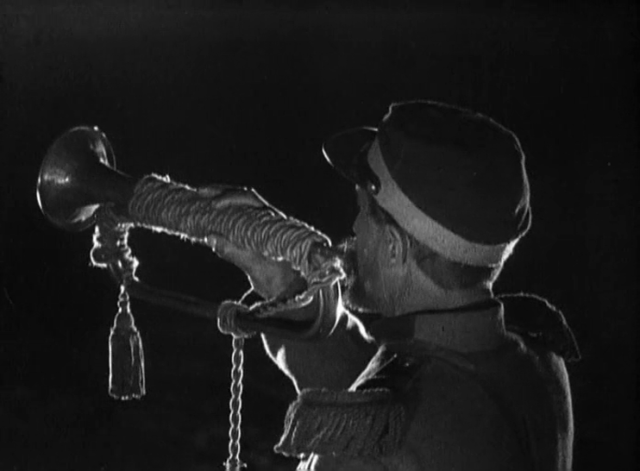 A TV screening at the occasion of the Paris Commune’s centennial was barred by President Pompidou himself. 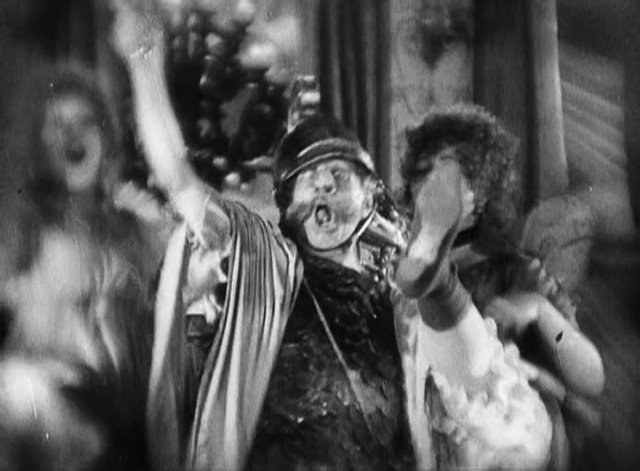 In Holland (1929) it passed the censor, though a shot of a young drunken girl had to be cut. NEW BABYLON shows the struggling hungry workers in 1870 Paris and their political creativity setting up the Commune. The cinematography was in the hands of the best Russian cameraman ever, Andrey Moskvin. The political topic did not stop Kozintsev & Trauberg from adding absurd humor and grotesque eccentric characters. The collective struggle of the anonymous mass of communards was handed over to recognizable individuals.